9th Annual Event, at the Danny & Willa Ellis Family Fine Arts Center, 2108 S. Horton St. Dancing entries of 2-9 participants each (couples, trios, teams, etc.) 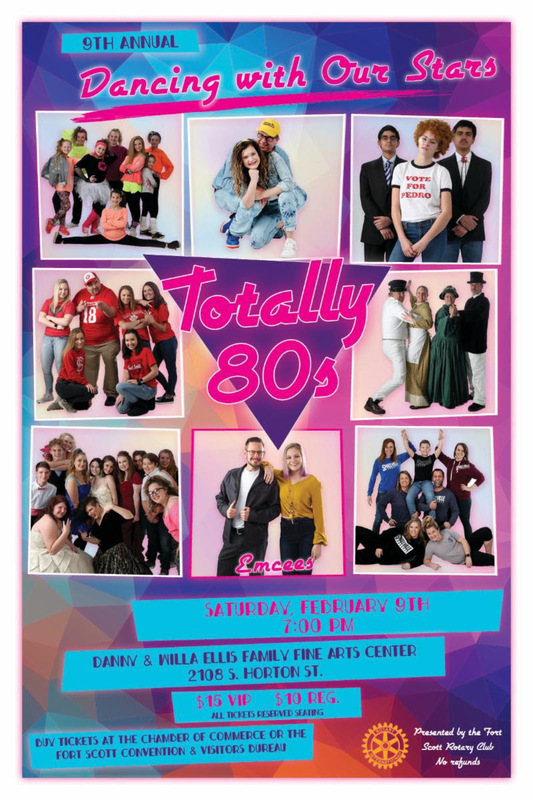 select a song of their choice to reflect the 80’s theme, select a charity they wish to dance for, and compete by raising the most dollars for their charity prior to the event and during intermission of the event when attendees vote for their favorite dance entry by voting with their dollars. The winning team will take home a trophy and a cash prize for their charity of choice. Additional awards include most entertaining and best technical performance.